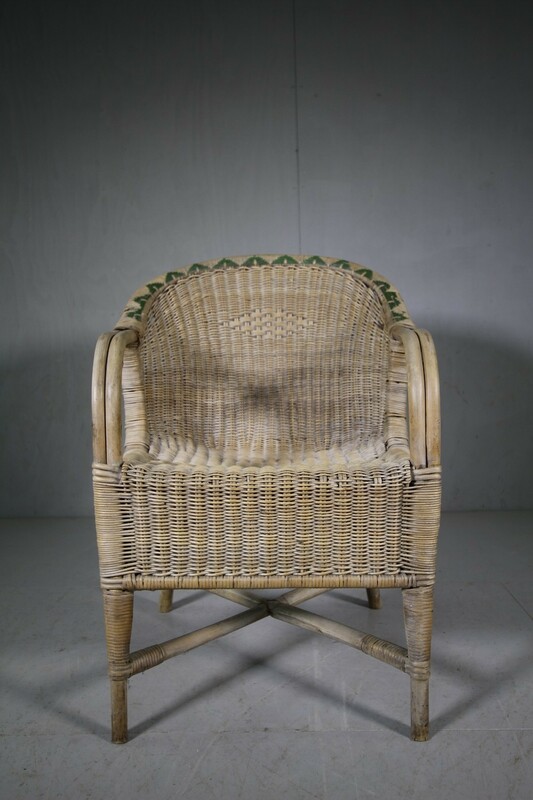 A super quality English cane armchair by Dryad of Leicester. 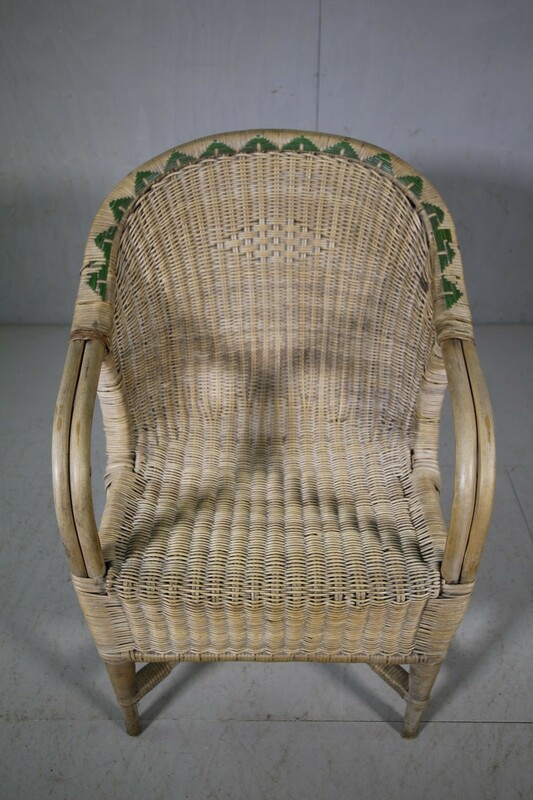 In superb condition, this armchair is a generous size and very comfortable. Featuring a green design woven into the top rail and a diamond pattern woven into the back. 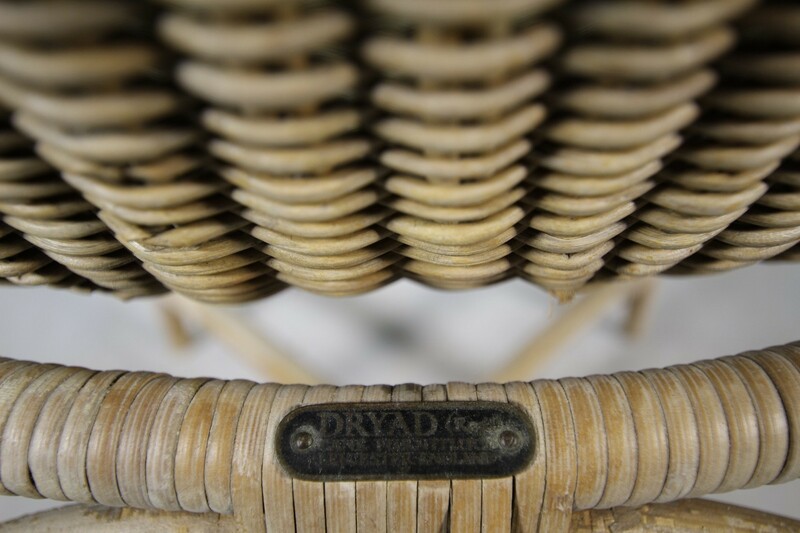 All in very good, complete and solid condition, the Dryad metal makers label is on the back of the armchair. 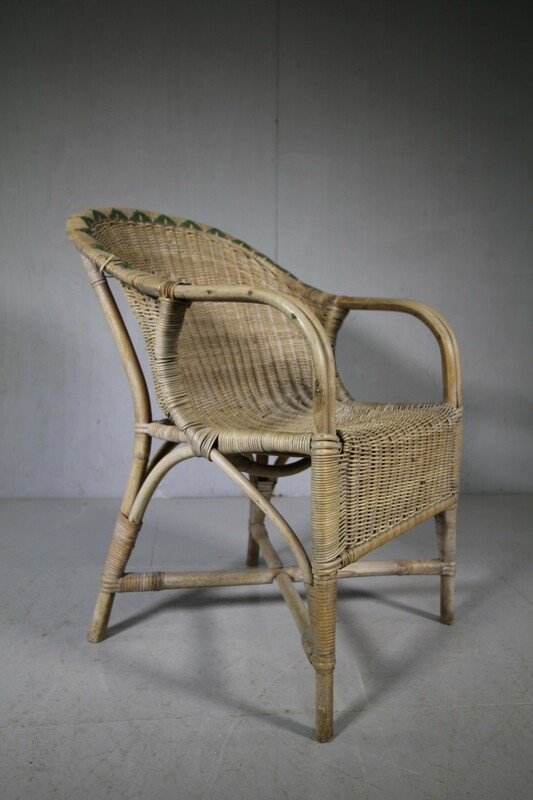 Perfect to use in the garden, conservatory or even as a bathroom or bedroom chair.